I spent the second part of my childhood growing up in Concord, Massachusetts. Near Walden Pond I would enjoy walking and cross country skiing in the back woods. Later on when I read Walden by Henry David Thoreau I was amazed by his curiosity surrounding nature. He took string and measured the depth of the pond! A poet and a scientist. I admire his note taking for posterity's sake in books like "Cape Cod". 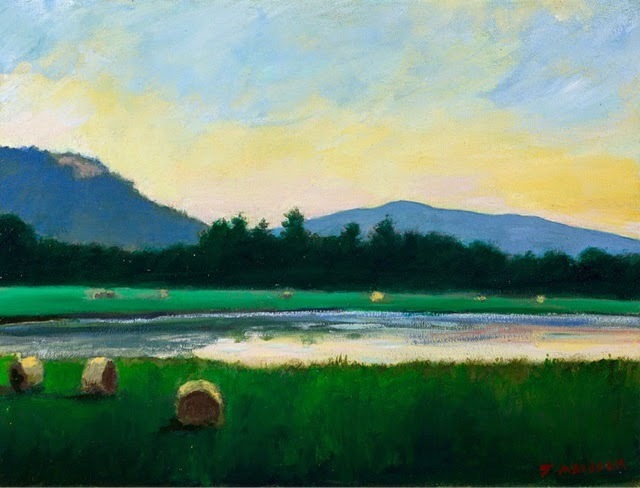 He did what many painters of the Hudson River School did when they showed they beauty of America to those that had not yet traveled. 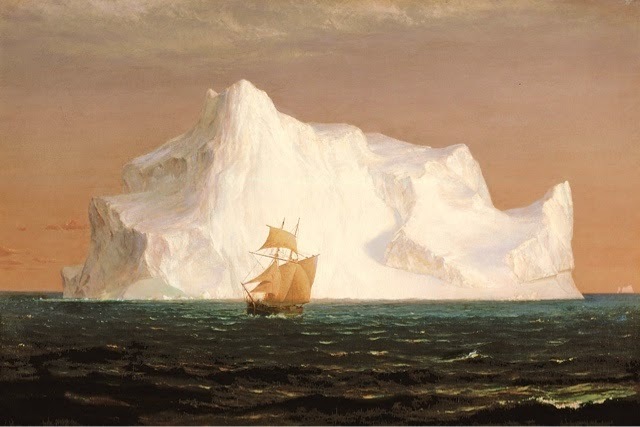 Frederic Edwin Church was one such painter. A few summers ago we took a trip to "Olana", where he built his house and studio. 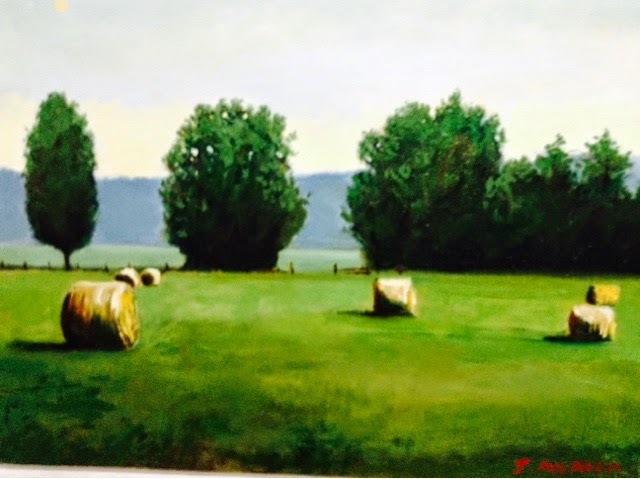 Here is a painting done from his garden. 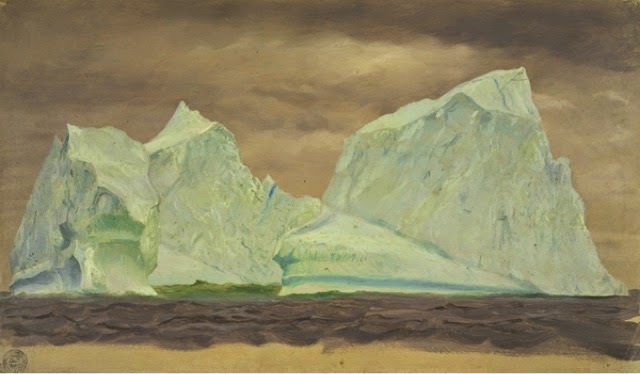 This painting was on view at OK Harris in New York. In my mind I put these two together. The both loved to travel and to share with others the things that they found. I for one am glad they did. Here is on of Church's paintings that first got my attention. It seemed so "modern" to me. 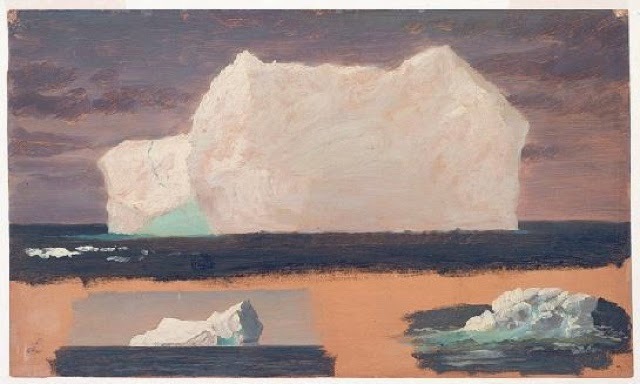 In part because of the subject matter and also in the manner it was painted as a study with parts left unfinished. Here is a more finished painting that I do enjo but not as much as the studies above. Italy has been on my ind these days. I was there Seventeen years ago at this time. 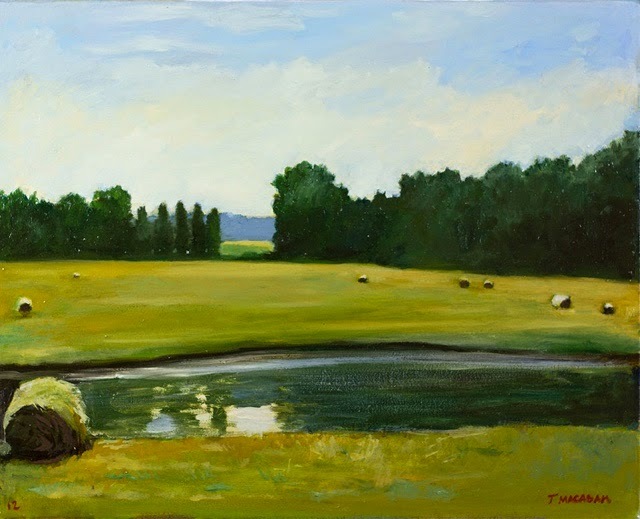 It was the place that I first started painting landscapes. 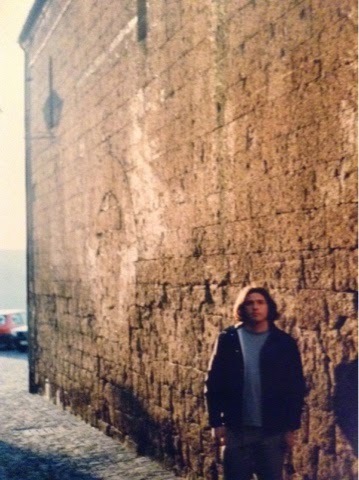 Here I am with a wall made of the soft volcanic ash that the town of Orvieto is made from. I had the chance to carve it and it is like butter. 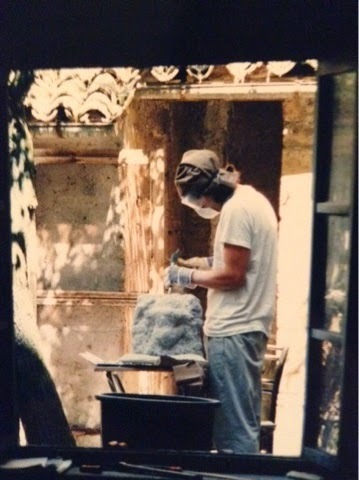 The sculpture I am carving here is a harder stone known as Pepperino. The name fits as the stone has little black flecks that look like pepper. I have written a few little posts about my trip and time there. I will at some point get all these blogs together so they are in one place. 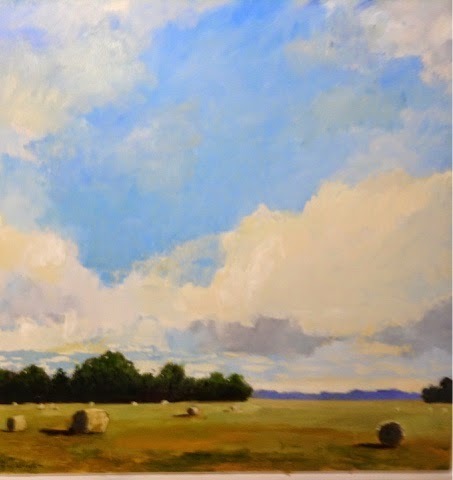 In the studio this winter I have been doing a series of paintings based on the fields around where we live. The hay bales at thd end of the summer remind me of where I grew up in England. There was s field behind our house and I have the clear memory of watching a farmer plow the field. I might have been about seven years of age. I stood at the edge of the field thinking that I would love to drive the tracker and plow the earth. This was my first memory of having a idea about what to do when I grow up. 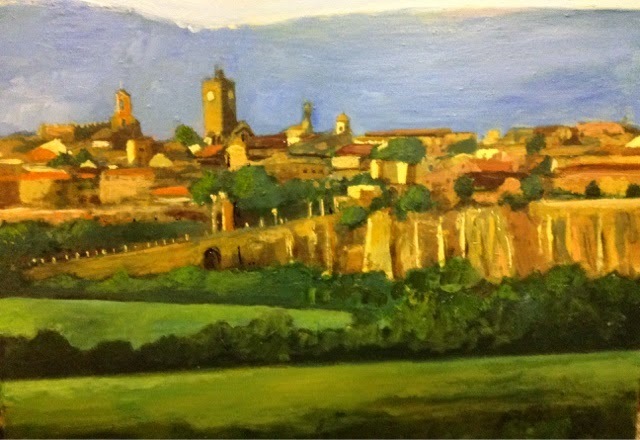 By painting these landscapes I feel I am getting at part of that desire as a child though I didn't know what it was. We have been walking around Appleton Farms in Ipswich. I have been doing some watercolors from there. There are so many surprising view points where you feel as though you are no longer on the north shore. I was told that it is the oldest farm still operating in New England, established in 1638. This painting was done from one of the Watercolors.